Where's the Jolly Roger ferris wheel? 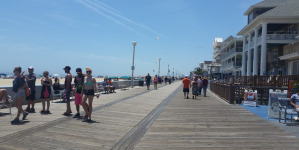 The Jolly Roger ferris wheel is a staple of the Ocean City boardwalk. 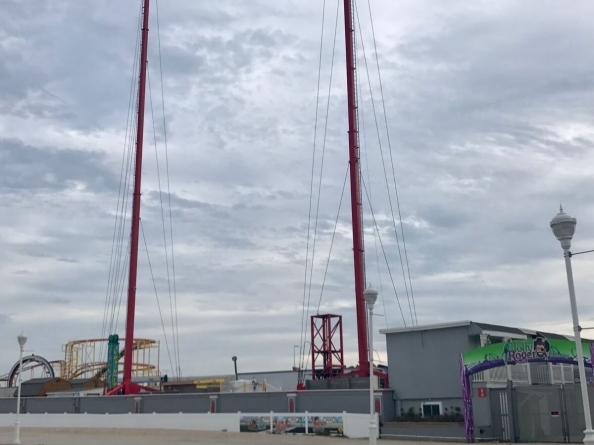 When you look down toward the Inlet from the northern end of the beach or boardwalk, you expect to see it there as much as you expect to see the two poles of the Slingshot or the Looping Star roller coaster that’s normally right next to it. 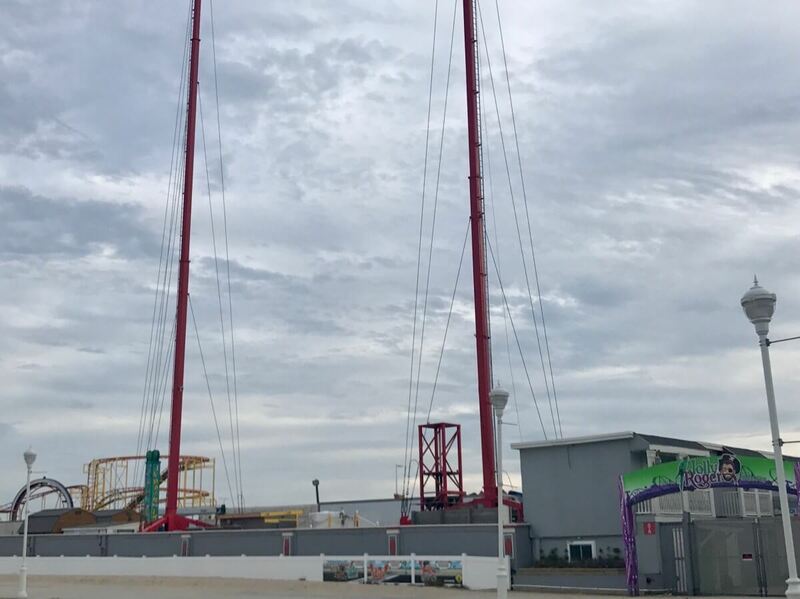 Only the Slingshot and the coaster–with a cloudy autumn sky to boot. 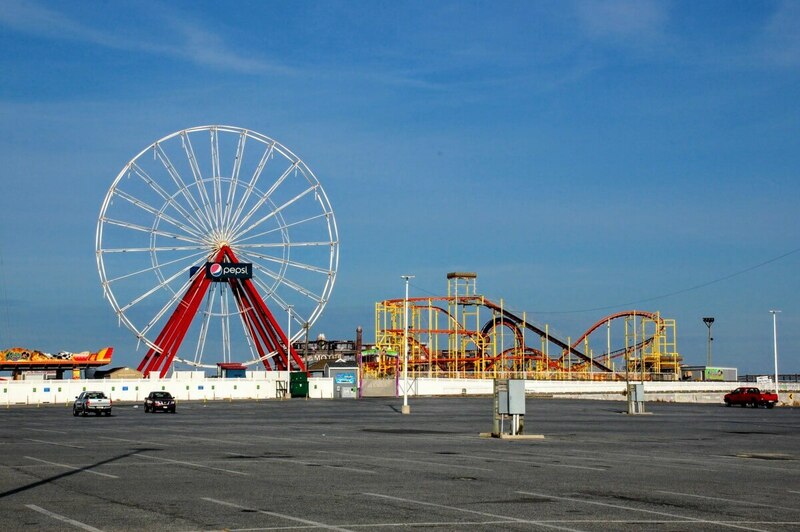 As you might have guessed, the 116 foot Giant Ferris Wheel is down for maintenance. 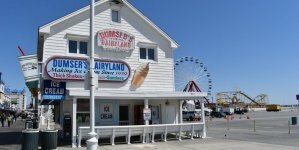 There might be a big, empty spot on the pier now, but you can bet that the ferris wheel will be back up by the time Jolly Roger opens for the 2018 season on Easter weekend (which, thankfully, is early this year, at the tail end of March and the start of April). 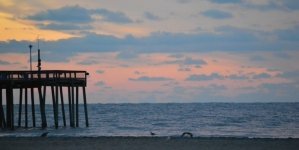 Jolly Roger will be open on weekends from Easter until Springfest, after which they will return to their seasonal hours. 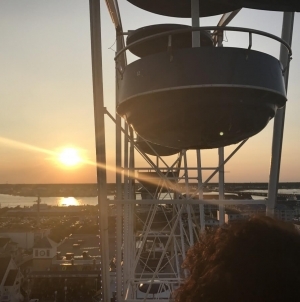 Then you can ride the freshly-painted ferris wheel as many times as your heart desires.